Daily Derp: Has Anyone Else Noticed How Terrible Jesus Looks? 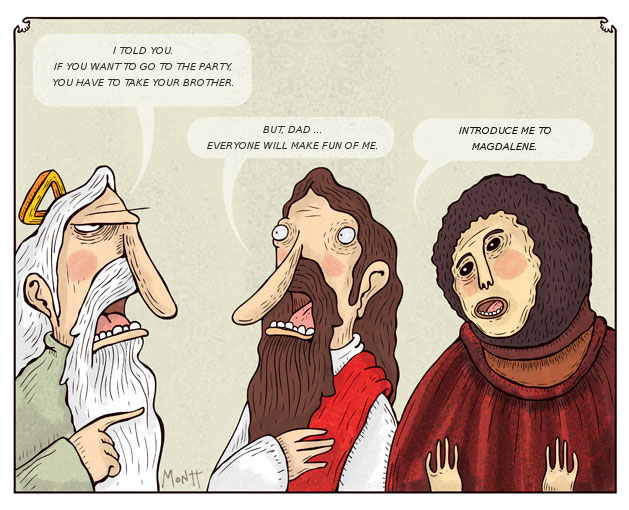 A rather silly comic based on the ‘restoration’ of a painting. This entry was posted on Tuesday, September 4th, 2012 at 6:41 pm	and is filed under Daily Derp, Hilarity, Stoopidity. You can follow any responses to this entry through the RSS 2.0 feed. You can skip to the end and leave a response. Pinging is currently not allowed.